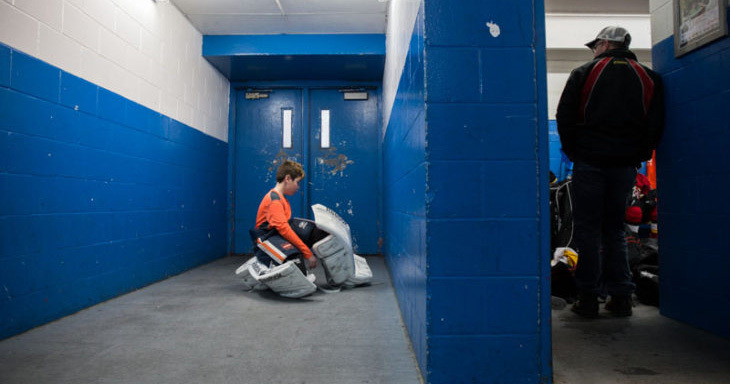 Starting on April 16, GTHL players will shift their focus from gameplay to testing their individual abilities against their peers. The tryout period is an opportunity for teams get a glimpse of the talent vying for a spot on a roster and for players to demonstrate what they can bring to a team. While the process may be intimidating for some, longtime GTHL coach Joe DiMaria says it’s all about being prepared for the task at hand. “Make sure your skates are sharpened and stick is taped the night before so you can focus on more important instructions when you arrive at the rink,” explained DiMaria. While on ice skill will be assessed, former GTHL Regular Season Championship winning Coach Michael Saini emphasizes that coaches look for a lot more than just hockey sense. While many players will be looking to return to their former squad, some will be searching for a new challenge, including making the jump to a new level of hockey. Cameron Segal a defenseman with the Toronto Red Wings Peewee squad, made the jump a few seasons ago after playing two years at the AA level with the Vaughan Panthers. While Cameron’s hard work paid off, Saini warns about the overestimating your ability. Click here for a full list of tryouts. Good luck!